Luang Prabang has been becoming more prominent in travellers’ itineraries. Nestled in a slim valley shaped by lofty, green mountains and cut by the swift Mekong and Khan rivers, the ancient capital of the province in Northern Laos is known for its glistening gilded temples, rows of French-Indochinese shophouses, lush valleys, and stunning rivers. Once a tiny mountain kingdom for more than a thousand years, Luang Prabang has only recently opened up to tourism after being designated a UNESCO World Heritage Site inscribed in 1995. More and more airlines have launched routes to the capital, making it more accessible than ever. 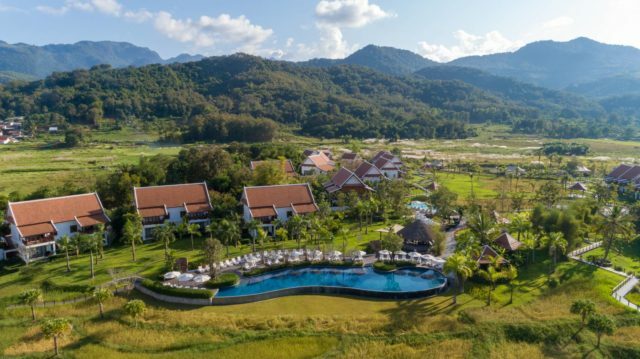 For instance, travellers can take a 3-hour flight from Changi International Airport to Luang Prabang — which is exactly why this exotic destination is commanding a place on nature lovers’ bucket lists. 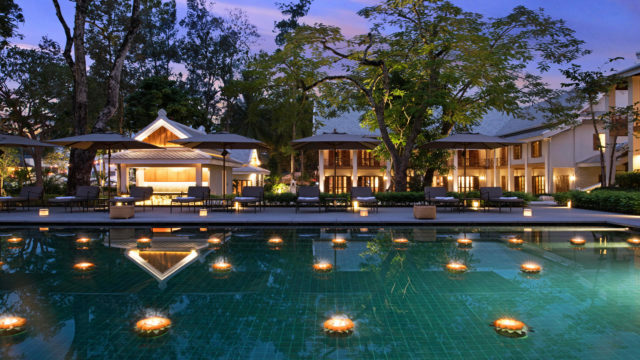 Naturally, many hospitality brands — from Avani+ to Rosewood — are opening up hotels in Luang Prabang, joining existing luxury hotels there. Visitors to the ancient capital have more choices now than ever before. Scroll down to find out the best new luxury hotels to check yourself into in the magical region. Taking over the former Azerai Luang Prabang is Avani+ Luang Prabang, a modern boutique hideaway overlooking Mount Phousi. The 53-key hotel is housed in a 1914 building that once served as the quarters for French officers. The rooms boast natural and light decor, using neutral tones and clean lines, with modern amenities including a TV, tea and coffee making facilities, a mini bar, and wi-fi. If you’re hungry, the in-house bistro offers a range of both Lao and French-inspired cuisine. 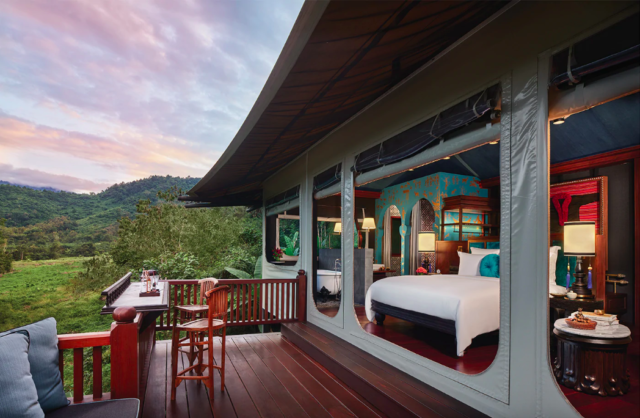 Marking the hospitality brand’s debut in Laos, the newly-opened Pullman Luang Prabang is a 16-hectare resort situated 10 minutes away from the UNESCO-listed Old Town. Besides its 123 guest rooms, suites, and a new two-bedroom villa, the resort also boasts two bars, a restaurant, an exclusive private lounge, three pools, a fitness centre and luxury spa nestled amid infinity pools, meandering streams, paddy fields, and shimmering pools. 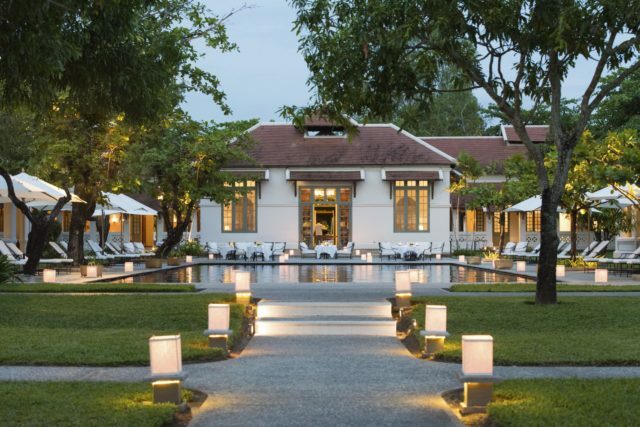 Sofitel brings French sophistication to the cultural heart of Laos at Sofitel Luang Prabang, one of the first few luxury hotels to open in the ancient capital. The hotel enables guests to experience the best of both worlds, by appreciating the fine architecture and decor inspired by Lao artists throughout history before retreating into the best of modern comfort. Sofitel Luang Prabang is housed in a century-old colonial mansion (built in the 1900s as the governor’s residence) enclosed by perfectly manicured gardens, high fortified walls, watchtowers, and an amethyst-tiled pool. Nestled in a hillside on the outskirts of the city, Rosewood Luang Prabang brings a blend of Indochinese elegance and Laotian splendour to its wild surroundings. It was designed by Bill Bensley, after all. The property features 23 individually designed air-conditioned rooms, suites, villas, and tented accommodations overlooking waterfalls, river and hillside. Each room is decorated in French-Indochina style and inspired by the local hill tribe. All rooms come with a private terrace, with some boasting private pools. Formerly an old provincial hospital, Amantaka is now one of Luang Prabang’s most luxurious hotels. The heart of the property is a pool flanked by shady verandahs, surrounded by a well-equipped gym and an Aman spa with four treatment rooms, steam and sauna facilities, and hot and cold plunge pools. Accommodation comes in the form of 24 suites (ranging from the Suite, Pool Suite, Khan Suite, Mekong Suite and Amantaka Suite). 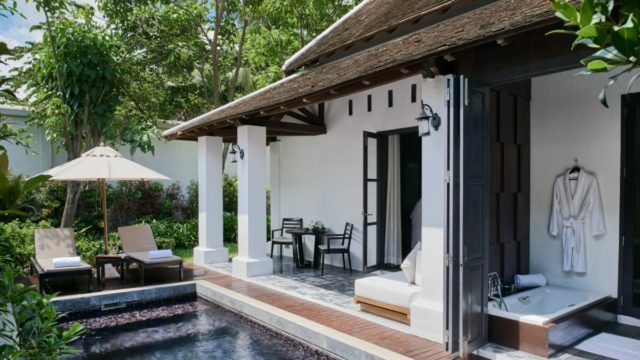 Sixteen of the suites feature private pools, while two Amantaka Suites are villas encircled by large verandas, private treatment rooms, spacious outdoor areas, a private pool and separate living and dining areas.